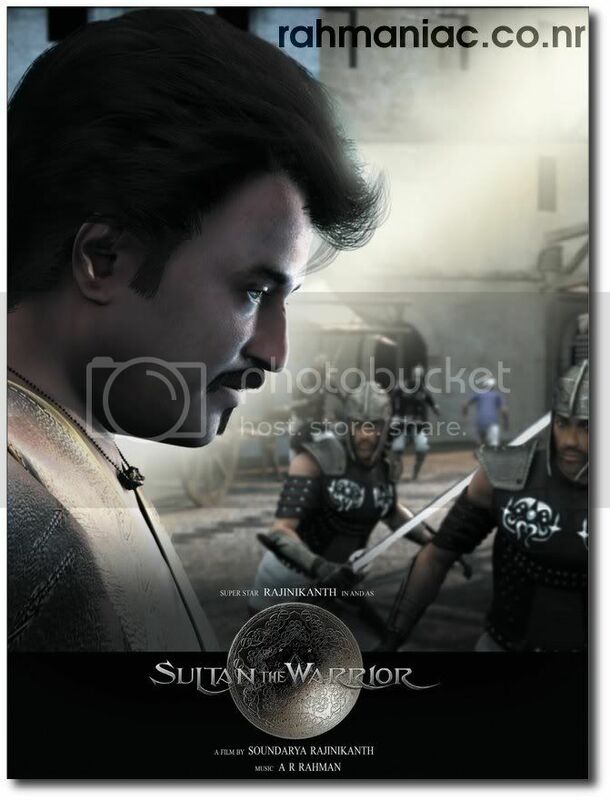 A R Rahman, who is all set to initiate the works of Sultan – The Warrior, the movie in which Superstar Rajinikanth would appear in an animated character for the first time, has said that the film will come with lively songs which will surely entice the masses. Singing paeans for the movie, Rahman says, `Sultan is not like other Rajini films, the film don’t have a usual entry song advising fans how tolead a happy life. However, there will be peppy numbers which will make audience to dance in theatres.’ On Sivaji, Rahman says, `I am happy that all the songs have been well received. I heard from Shankar that Rajini sir was happy with my work. Adding to this, Latha Rajinikanth has sent a bouquet to me as a token of appreciation. Superstar Rajinikanth saw two things when he watched the trailer of the animated movie ‘Sultan The Warrior’.For the first time he saw himself in a movie in which he did not act but still was able to enjoy Sultan as he is called in the film. He also saw the talent and potential of his own blood in its full glory and splendor revealing in front of his eyes.The actor after watching the trailer was moved and appreciated his daughter Soundarya who is the creative force and director behind the first of its kind animation project in India where a film star is being featured in a full length animated movie as an 3D animated character. Ocher movies, Soundarya Rajinikanth’s company is producing ‘Sultan The Warrior’. As usual in Rajinikanth movies, S.P.Balasubramanium has given the voice for the intro song in this film composed by the music wizard A.R.Rahman. Three other songs composed by A.R.R. also add elegance to the film which has the duration of one hour and fifty minutes. For Thotta Dharani, the acclaimed Art director, the experience in working in this movie turned out to be entirely different as he did not have to work with physical resources which are used to construct a set but just had to come out with designs which got the material and texture in the hands of 3D animation artists working under his guidance. This attempt is sure to find followers once it gets released and Kollywood can be proud that the idea of ‘Sultan The Warrior’ was conceived and the effort to make it true was dared in Chennai. Even if the film shows a Rajinikanth made up by animators, the opening and the hype to this movie is going to be the same as like any other film of the superstar. That also is an honour that is meant exclusively for Rajini and Rahman. Who can argue on that? Rajini is the boss, we are blessed to have him. Rajini rules. What i can say , its an only Dream to make a career only dedicated in the House of Him, My Sir. Mr. A.R.Rehman…………………….plz send all or any information to get a chance to make my life there……………..Nishi………….